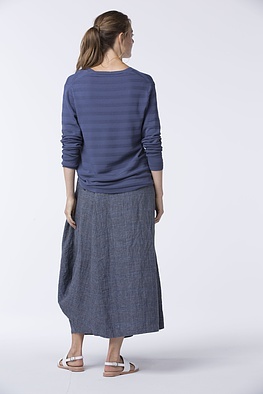 Isn’t that a wrap-around skirt? No, it isn’t. 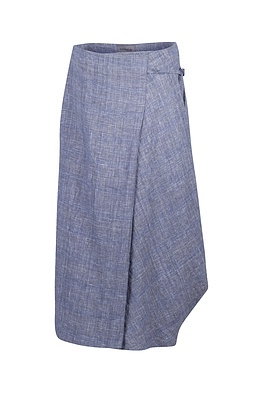 This OSKA skirt plays with the look, but its tie band is only decorative as it fastens with a side zipper. 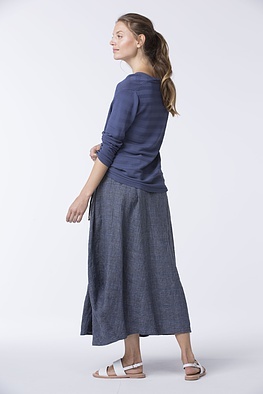 The feminine A-silhouette looks smart with short straight but also narrow fitted tops. 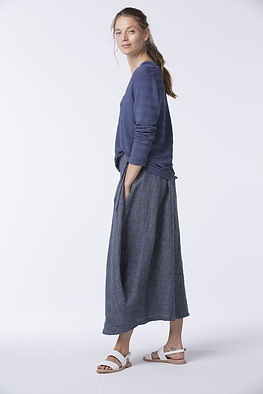 One sophisticated detail is its asymmetrically draped effect at the side seam where a pocket is also positioned.